I asked for a scanned copy of this magazine due to my curiosity about this lovel controversy of Sarah Geronimo. For those who have no idea who she is, she's a singer/ actress/ product endorser. She started her career when she won the singing contest in a local television here in Manila. She was 14 or 15 years old back then. At present, she is 22 years old. I'm still not done in reading this magazine since it's awfully long and there are other people involved (friends of Sarah) apart from the concerned people. One thing is for sure though, Sarah's mom is way too strict to let her daughter experience of what it's like to be independent and learning mistakes on her own. I just wish that somehow in the near future, she will learn to loosen up and let her daughter, Sarah experience the freedom of deciding some things on her own (like love) and just guide her. Tsk! 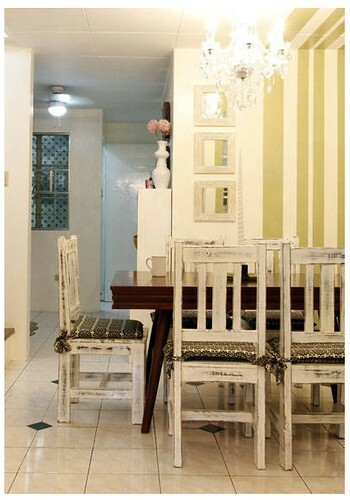 This is one of the few photos from Real Living Makeover winner for January-February 2011. The interior designer for this featured makeover is Ms. Grace Moslares. I made a decision to seek help of an interior designer with regards to dressing up the 3rd floor of our home since I have no idea on how to achieve the homey yet modern design for our home. Since Ms. Grace contact information are written there, I immediately sent her an email. She replied back after a day and we set up to meet. Unfortunately we are having issues with our schedule so up to now we were not able to have our meeting. Initially, she wants to have an ocular visit of our place so she can see for herself what things need to be done to finish our place. That plan didn't push through since she just came back from her trip to Cebu. I think she is quite busy during this season since it's summer and most of the home owners picked this season for renovations and construction. I'm not sure when we will be able to see each other but I have a good feeling about Grace though I'm not shutting the idea of scouting for other interior designers. In fact, I made a query to 2 IDs with regards to their PF, tie-up contractors if any, expenses, etc. I just hope something good will come out of my "research". I'm still under the weather so I went to a nearby hospital and have myself checked by a doctor. For some unexplainable reason, I have a fever but my temperature is normal. 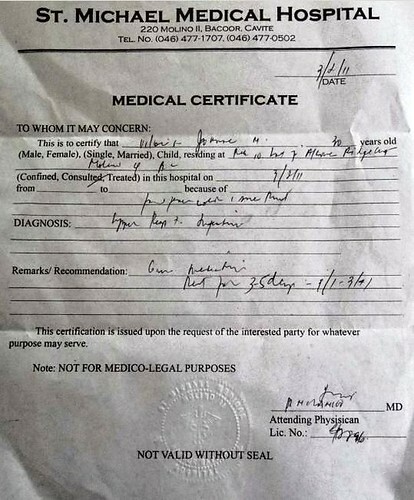 The internal medicine doctor requested for a CBC and urinary test. I guess she wants to know if I caught a "dengue" fever. They took a blood and a urine sample from me and the tests. Good thing that my platelet count is all normal same as with my urine test, everything is normal. 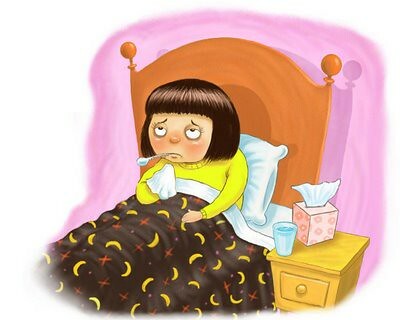 I don't know what can be the reason behind my sudden illness. The only culprit that I can think of is the stress from work. I got a medical certificate and was advised to rest for 3-5 days. I decided to take the whole week off and have my body recharge. So sorry it took me how many days to start posting the March photos. I'm hoping that I can put everything before March ends...yikes! I'm so bad in making promises when it comes to blogging...sigh. Surprise, surprise! That's how I felt amidst the fever, runny nose and itchy throat. I couldn't believe that I will end up staying in bed for a long time due to my sudden sickness. It's a puzzle why I became so sick considering I was on vacation leave last February 28. I guess my body is finally reaching it's limits. I was so stress out since January and mind you, I didn't take any leaves on that month. I was a very hardworking employee. Hehehehehe. This is the downside of working on a night shift, your sleep during daytime is not satisfying versus sleeping at night. I feel so horrible that I didn't report for work that day. Finally I'm done with my February photos! :) Now I need to catch up for March. I instantly fell in love with this shoe when I saw this at Flair Candy's website. I like the style since it's flexible, you can wear this either casual or formal. It's cute and I can imagine myself wearing this...hehehehe. I hope Hannah won't mind if I bought a pair for myself :) I made a research and found out that this pair can only be bought in Michael Antonio's SM Annex branch. My only worry is how comfy it will be on my feet. I have issues with shoes since I easily get blisters from wearing shoes that feels hard on my feet. That's why I always end up wearing flats that have soft material. Regardless, this is a good find! Kudos to Flair Candy! February 27 - It's the first time that I went to Resorts World. The front portion of the building is a hotel with luxury brands lined up on the ground floor. At the back portion was turned into a mall, most of them are branded. 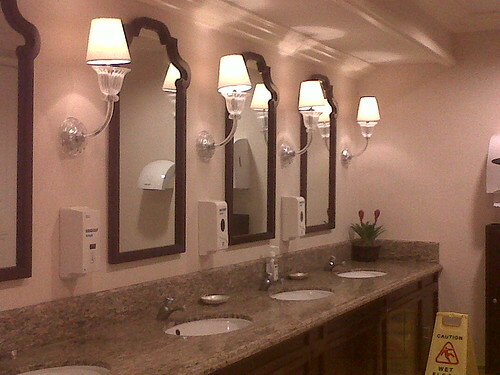 I think the very reason for that is to attract tourists and to make their stay in the hotel enjoyable and hassle free. 1. Casino - It's a huge room where there's an entertainment stage (?) or podium in the middle. 2. Bars - Yep! They have a bar which youngster and adults alike can have a good time. 3. Performing Arts Theater - Now showing is KAOS. I saw an ad in cable with regards to this show. I might check this one out next month. Before I forgot, Resorts World is offering a free membership for everyone. All you need is a valid ID (government issued). One of the perks is having a discount for the tickets in Performing Arts Theater. Also according to my friend, you can get a breakfast from the hotel amounting to Php 89 or 99. Sorry I forgot the exact amount but I'm positive that it's less than 100. 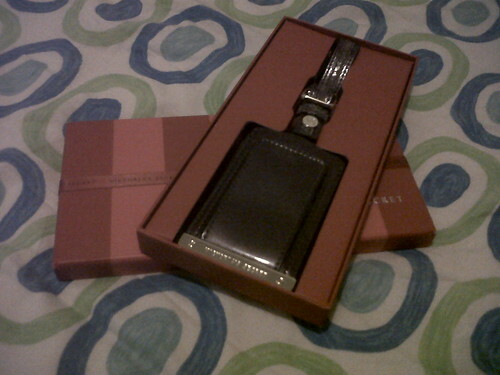 A VS bag/ luggage tag was given to me as a "pasalubong" by my kumare and a good friend, Weng from Dubai. Normally they will give me body cologne or body spray since the branded perfumes and toiletries are way cheaper in the Middle East. 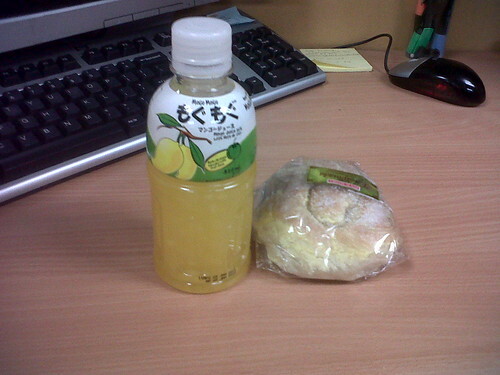 My modest breakast for the day. It's my first time to drink a fruit juice with "nata de coco". The drink is citrusy with a mix of sour taste but it's tolerable. Then the bread is the ensaymada from Pan de Manila. Sigh! Their breads are freshly baked....always!. It's a heaven for me. Just a thought, maybe I should stock myself some Pan de Manila breads for holy week. I made a promise not to eat meet within that week as part of my abstinence. I've done that before (last year) so it shouldn't be that hard this year...hopefully. HEAVY breakfast in North Park courtesy of our "manager". She just came back from her US business trip. 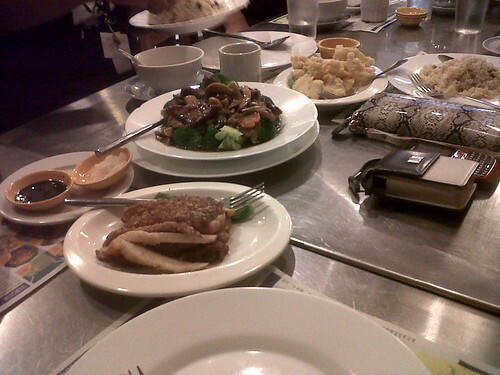 I so love the chicken/ fish rice and the squid dish (forgot the name) and the beef brocolli too. Yum! After I ate this breakfast I didn't bother eating lunch. Sweet treats...again! This time it came from our officemate who is working in Dallas office of our company. 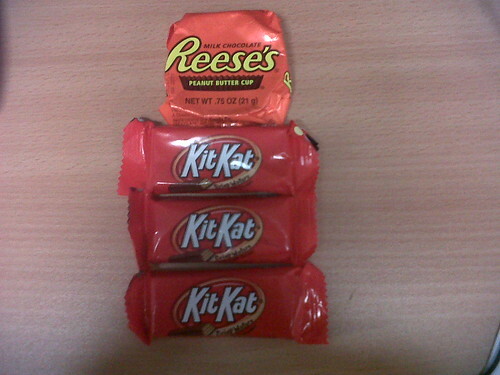 If you will noticed I favored Kitkat over Reese's. I like peanut butter spread but not in candy/ chocolate form. For some reason, it doesn't appeal to my taste buds. As soon as I saw this list I excitedly made a research of cars that are a hit among consumers. 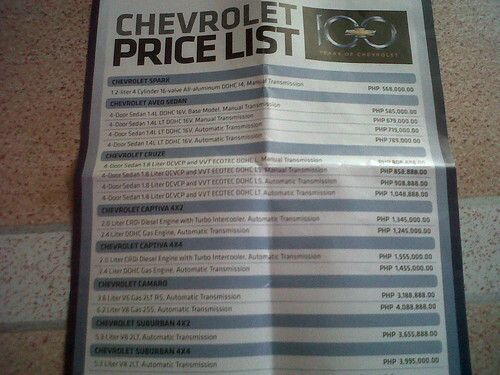 The criteria is the value for money, fuel consumption and reliability. Toyota and Honda are the top brands that comes up in Asia. It's no brainer that Toyota is the best bet of the people here in Manila since they can be seen everywhere may it be in a city or a province. Let's see what the future holds for me. I'm being optimistic of the coming years for me and the husband. 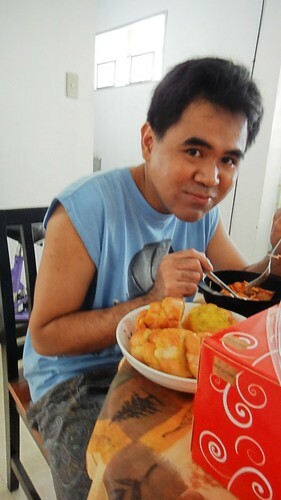 I invited my aunt and grandmother to our home to enjoy the foods. My siblings are present as well. I'm planning and hoping we can spend his next birthday with some of his relatives. I'm sure he will be happy to spend it with them for a change. 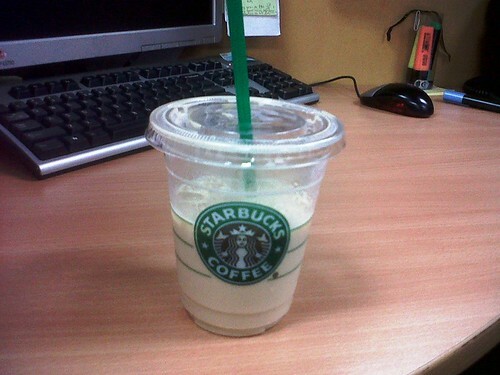 My officemate gave me this sweet treat. 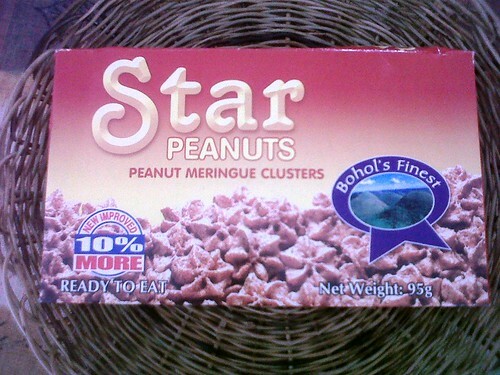 It's a peanut meringue from Bohol and it's my first time to taste one. It taste like your regular peanut butter in a candy form. The husband immediately started wolfing down the clusters and he emptied the whole box by himself. Yeah, he is a certified sweets lover =P Totally opposite of me. I only ate sweets or chips (junk foods) when I feel like it. They are not included in my "daily" stuff to eat. This reminds me of asking the husband to "detoxify". I received this map on my personal email. 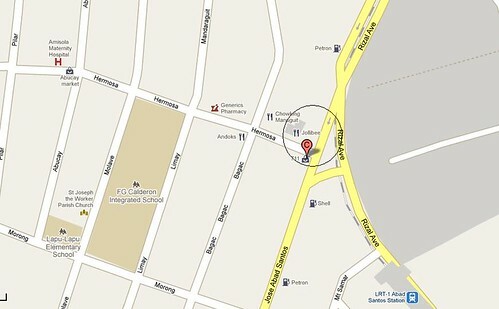 It's the map location of the 1st birthday party we are going to attend on February 19. Wow! The last time I saw this child, she was baptized in a church in Caloocan. I can still remember that I attended without the husband, only my good friends whom are tested despite the distance and time. Well, initially I have no plans on going since it's far from our place and I will be deprived of sleeping but my ever convincing friend, Jazzy got me. Sigh! So much for a relaxing Saturday that I have in mind. I thought that I will be able to finish my Project 265 updates on time but apparently that's not the case. So much for hoping and making promises (?) . It's a good thing to know that I have avid readers on my blog...hehehehe. I thought that nobody wants to read this anymore...hahaha! Thank you for patiently waiting for the updates and appreciating all the things that I wrote here. I'm not a writer but I love to document a piece of my life here. Obviously I will not be able to finish the remaining photos for Project 365 today but I will try my very best to have it all done this week. There! I'm crossing my fingers as to not break this promise for the nth time.